A new amnesty program from California governor Jerry Brown will help those with low income and traffic violations against them make payments on fines in order to avoid losing driving privileges. There is often a hefty fine attached to a traffic violation, making payment especially difficult for those with lower incomes. When fines are ignored, it can lead to additional fines or even to driver's license suspension. For those who are unaware of or confused by the new state amnesty program, renowned Southern California DUI attorney, Amir Soleimanian, provides his comments. According to an article from the Associated Press published in SFGate and updated on March 16, 2016, Gov. Jerry Brown has pushed a new amnesty program into place to help low income drivers make payments on current fines to avoid losing driving privileges. Many times, a low income driver cannot afford to hire a red light camera tickets lawyer for a traffic violation. This can result in additional fines or loss of driving privileges. Perhaps a driver could not afford to pay their fines or hire a reckless driving lawyer. That person may have not done so in order to pay for groceries for their family. With additional penalties, this driver had little opportunity to make things right, and could eventually lose their driving privileges. Because they could not afford to pay the fine in the first place, this driver certainly can forget trying to get a suspended driver's license lawyer to help. While this incentive is a great way for those who qualify to avoid additional penalties, many drivers do not know about this program or are unsure if they could qualify to participate. As noted in the article, the amnesty program may allow low income drivers to “receive a 50 to 80 percent reduction on what they owe”, or they may be eligible for installment payments. A driver who cannot afford the fines or a hit and run lawyer may be able to get the necessary assistance with this program. Those who could benefit from this program can contact the courts or find a good ticket lawyer to help. 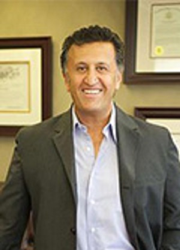 Amir Soleimanian is a renowned drunk driving lawyer with a proven track record, who handles all types of traffic cases, including resisting arrest and evading police officer charges.